Best Women Wresters : What previously was used as an attention seeking lookout, that attracted millions by numbers to the entertainment sport of WWE. Women were employed as the score card carriers, or MCs on the shows. Often more as speakers and entertainers rather than sports persons. They were never looked upon as wrestlers or never seen as ones who could dominate the sport in a way that they would not only dominate the world of WWE but also attract such a large crowd who see them as potential wrestlers. During time with the increase in viewership and demand the world started to slip towards women’s WWE and soon became a recognized sport. With up and coming sportswomen from all over the world, the demographic has not only increased but interest shown by women too have. The sport has fully developed into an all gender dominated sport and has almost equal viewership. The dominance of women has taken over the world, with over hundreds participating each year. The top Ten women however have shown utmost sincerity and have raised the bar of competition in the WWE franchise, etching their names on the stones of history forever. For 17 years this woman has dominated the WWE screen with her up and about ethic and putting her mark in the ring. She has been the center of attention and conversation amongst everybody. The 37-year-old has worked with the likes of Shine, Shimmer, ROH. She is one of the most sought-after players in World Extreme Wrestling. This hardworking woman has dominated the ring with her skills and keen observance. She has advanced technical skills that can be used against her opponents. She has excellent control over the mic and hence can promoter herself well! With one of the most glorious matches ever showcased, this lady has been a part of the golden glories of WWE. The feud between her and Angel Orishi is honored as it brought about a lot of legacies. They were the first ever women to have participated in the bull rope match and brought in 2009, setting a milestone. Martinez being the one of the most celebrated independent wrestlers in the circuit was so prized that her loss to Shanya Baszler was looked upon as one of the saddest moments in WWE history. Debuted at Takeover, Brooklyn II against Billy Kay. Beautifully played in the first match itself, with her finisher leaving the crowd awestruck. Under the name Athena, she was trained by the likes of Booker-T. Gaining her reputation in Shimmer, she had matches that she became known for against absolute legends. Her fights against Havoc created a lasting image that nobody has been able to let go of. 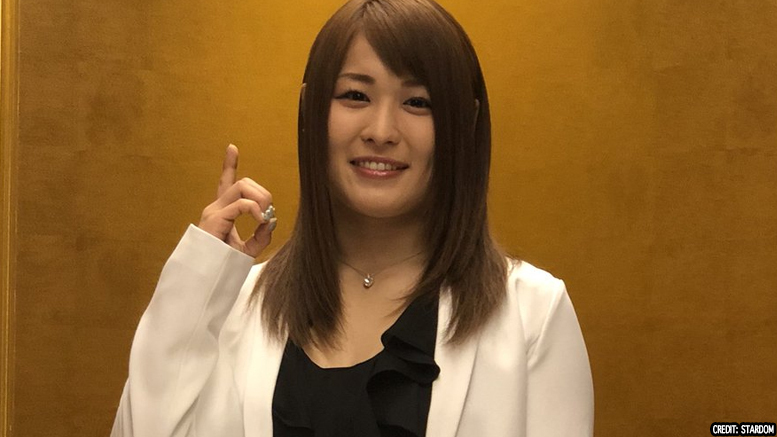 With Asuka, Ember played some beautiful matches that led to belief that she could possibly perhaps beat her, however with extended games and fights, it was sadly seen that she could never over throw Asuka with a bazooka of skills and talents, Ember has had a great deal of training to almost overpower fighters reigning in her era. She is an all- rounder performer with maneuvers surpassing a lot. Currently the reigning champion of NXT women’s championship, with a feud against Shanya Baszler. One among the top tier woman wrestlers in WWE. Can fight against an array of skills and techniques. This woman has had a breathtaking performance throughout. With narrations that are almost poetic, this fighter is a legend among her own. Charismatic and sympathetic, makes her shine in words unspeakable, her act easily swoons her crowds and thereby gaining her tons of followers. Beautiful beyond terms and is known as one of the up and coming faces of WWE. Her time in NXT gained her a lot of support and respect amongst her peers, she is one to looks out for. Her feud with Banks not only earner her the title of “babyface”, but also etched her name as one of the most remarkable wrestlers. With skills and a gimmick that could make the cupid in love with her, she gained tons of supporters and at the end made her a superstar that couldn’t be forgotten. The crowd fancies her beyond comparison, even when she went against Nia Janx. However, when she came to the main roster, her lacking a good storyline turned against her and there by ending her reign. The pirate princess debuted in the year 2017. Beating Shayna Baszler in the finals tournament, immediately made her NXT next big thing. She was the star of Japan and was unbeatable most of the times. Her stances and skills speak ahead of her and she appeals a large demographic with not only her childish charms. She can sell herself remarkably and thus that’s what has made her stick. Ric Flair’s daughter dominated the WWE world. One of the rising stars of the wake, one of the four horsemen of WWE, her performance has been noteworthy. Winning multiple RAW championships, this lady has taken the ring by storm and has conquered every step notably. Though she lacks technical skills on the ring, but athletically she is the best. WWE enthusiasts, all swoon over her. Her performance is unparalleled. Her matches against Bayley during their feud will always be something to look ahead to. With impeccable ring skills, she has reigned over the ring. Though not popular, but arguably one of the best the world has ever seen. Debuting in 1995, she gained her fame slowly and steadily in the rings of Japan. She started her own promo of Sendai Girl’s pro Wrestling. She has the strongest styles and is the ultimate package. Though 38, she has carried to dominate with her impeccable matches. Winner of the Women’s Royal Rumble. Competitive to the core. Some might hate her; some might like her, but none can truly ignore her. She is a remarkable wrestler, but most of all very proud of her skills, and rightly so. She has wrestled with legends and won against most. Undefeated is one of the things she prides herself of. She outsmarts her opponents unlike most who just want to create chaos and thrust them. Her abilities are crazy good. The goddess of wrestling. With aerial skills that commendable. She has unique skills and abilities beautiful. She is a top tier player and has gained her stardom through her skills. She has the skills to draw the best out of her opponents and then knock them out. She is amazing and one to look out for! These are the best one can witness and the best that have left a mark. There are more to come and more to go, but these legends have well reserved their spots.